1 Rinse the lettuces, trim, pick through and spin dry. Peel the mango cut out the core and cut the flesh into pieces. Peel the avocados, cut in half, remove the pit and also cut into pieces. 2 Cut the chicken into cubes and mix with soy sauce, kneading slightly. Mix the flour with the curry and dredge the chicken in it. Cook in hot clarified butter until crispy. Mix all ingredients for the dressing together. Place the lettuce on plates and drizzle with dressing. 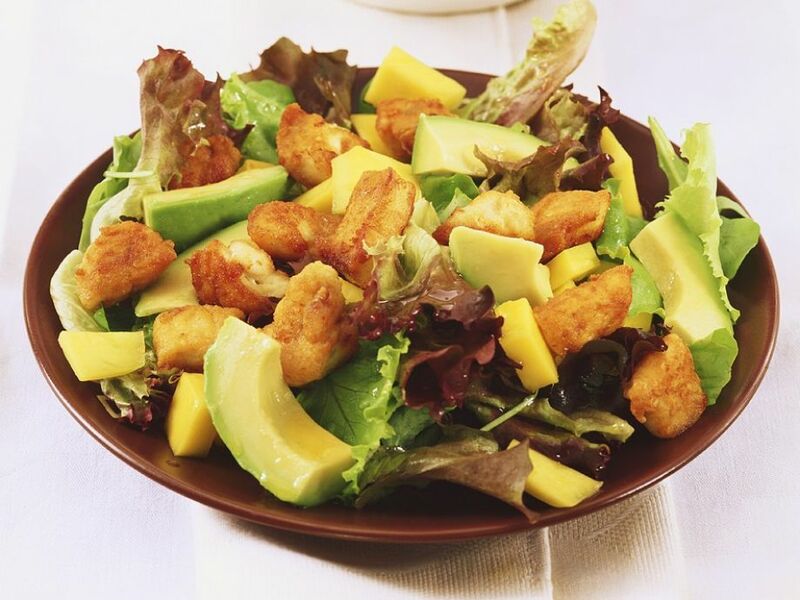 Serve topped with chicken, mango and avocado.